Universal remotes have been around in one form or another for decades. Harmony introduced the first one that could be easily reprogrammed via the internet back in 2001. 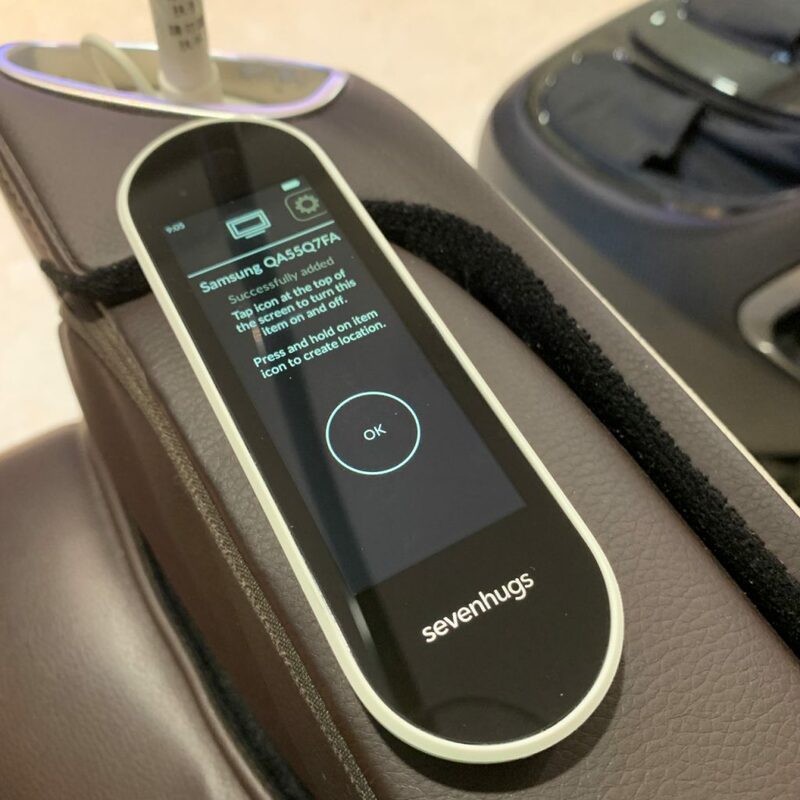 Now, Smart Homes are here!Sevenhugs’ Smart Remote is a universal remote that comes with screen changes to offer custom controls for each device. 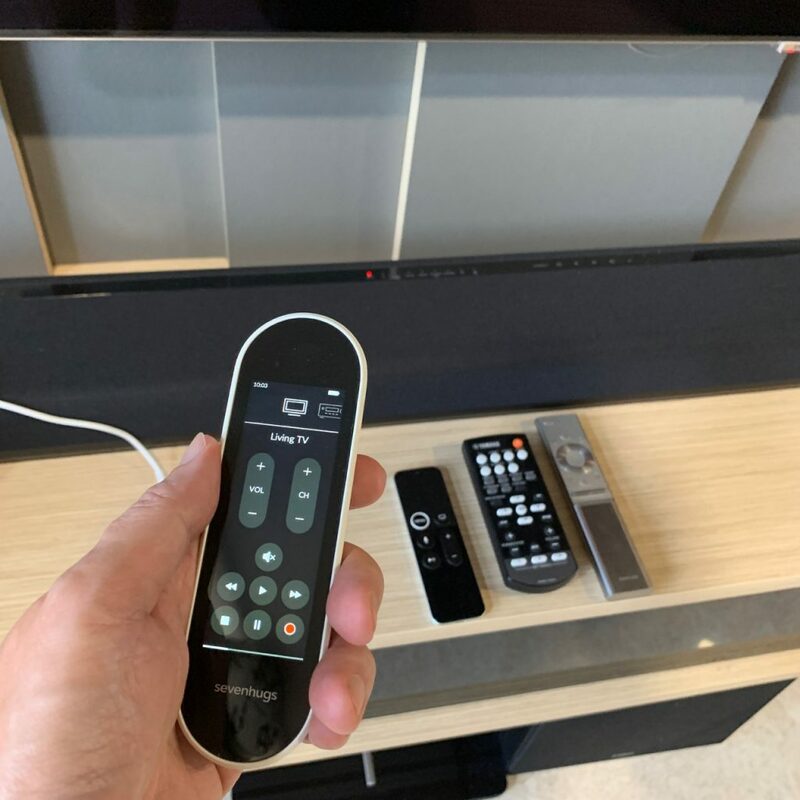 Instead of static physical buttons, the Smart Remote has a touchscreen a remote that controls just about everything in your house. 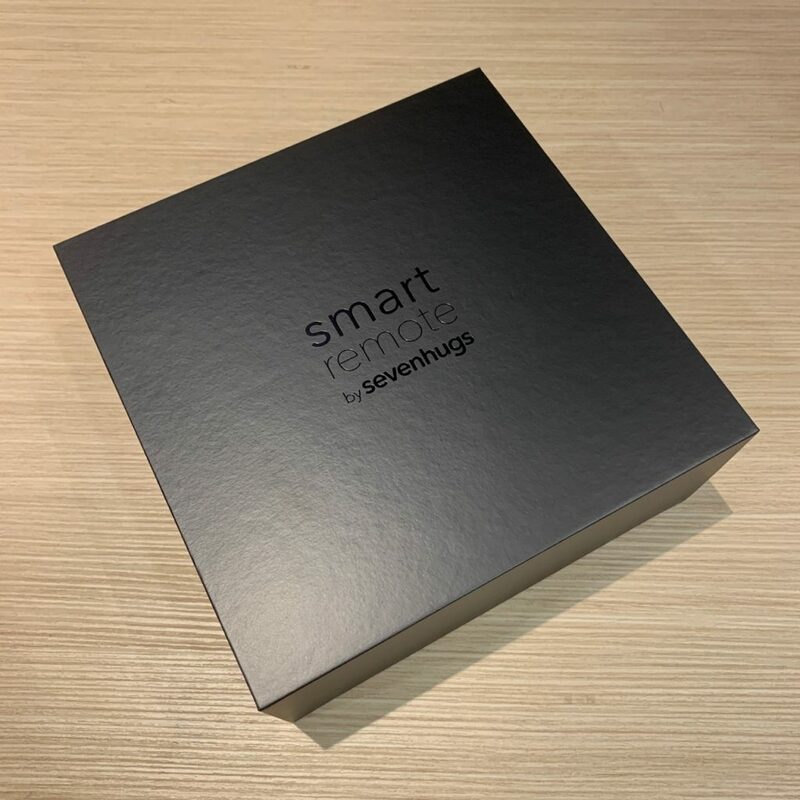 Smart Remote can control nearly everything, your TV, speakers, lights, thermostat and many more. 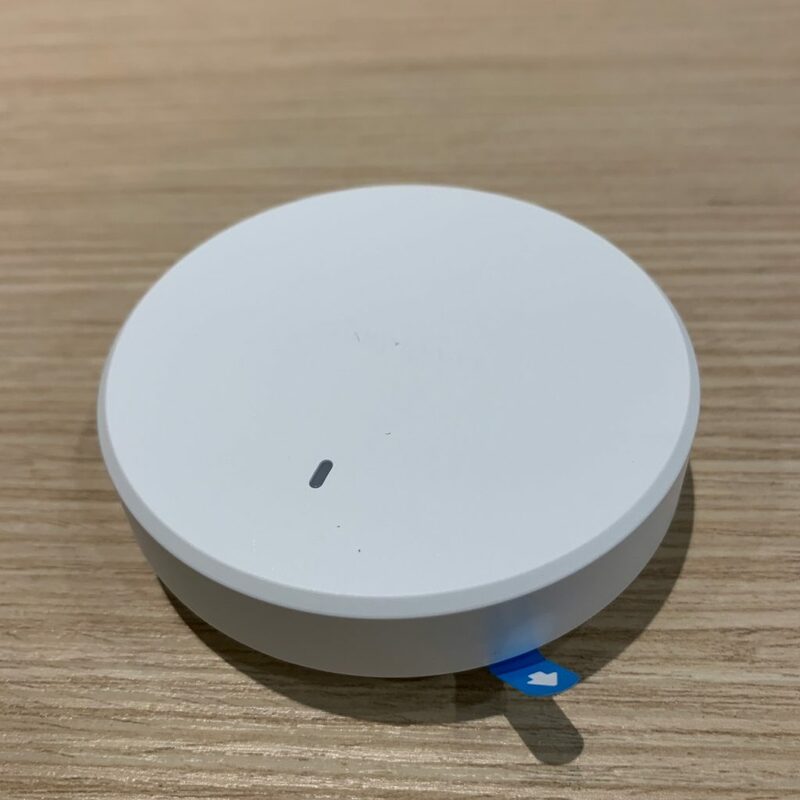 Simply point the remote at the device you want to control So, pointing it at a television will surface TV controls; Point it at your Nest Thermostat and the Nest controls appear on the remote. Download the free Sevenhugs Smart Remote app on App Store and Google Play. Install the sensors to different walls in your desired smart zone, at the height of at least 2m (7ft) off the ground. Far apart (walls) as possible. 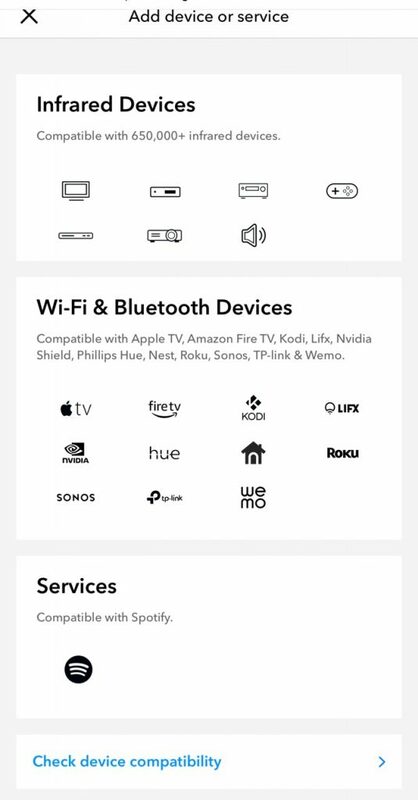 Configure the devices to app by following the on-screen instruction. 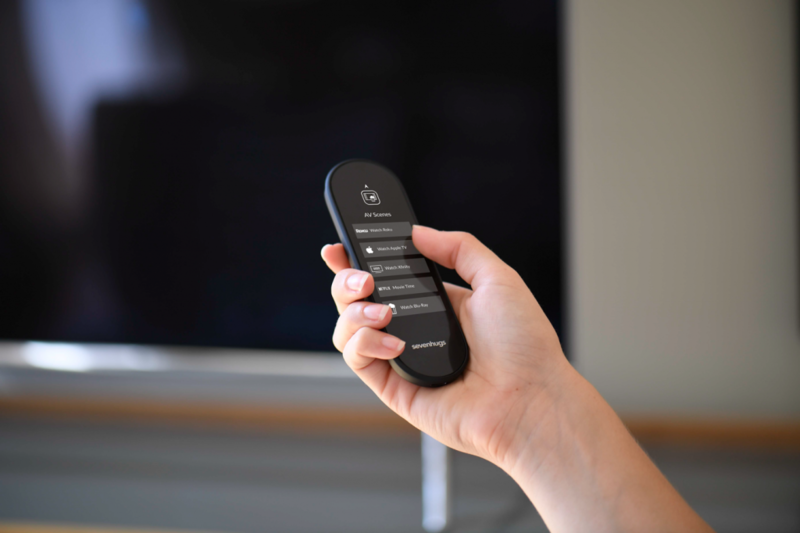 Using Bluetooth, Wi-Fi, and IR, The Smart Remote already works with more than 25,000 Wi-Fi, Bluetooth, and infrared devices. 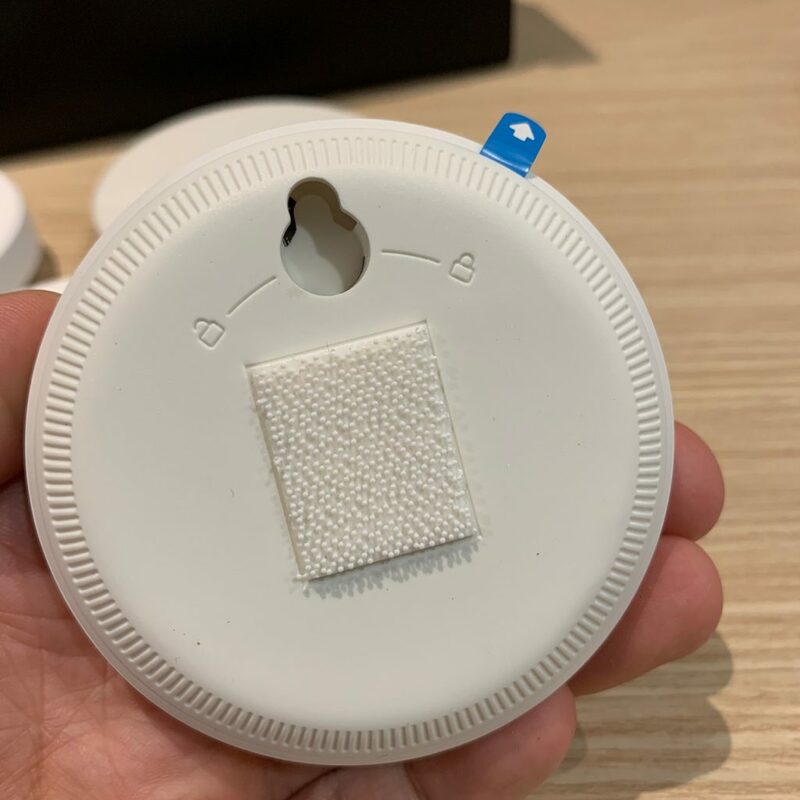 A special button on its charging cradle will trigger the Smart Remote to emit a locate tone if it gets lost in the couch cushions. 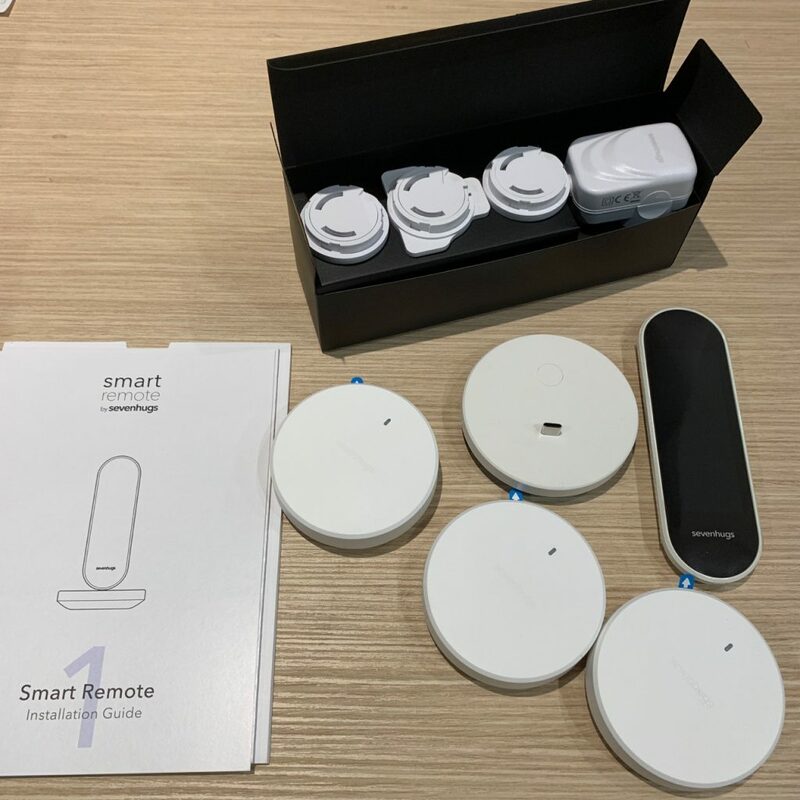 The Smart Remote uses a group of wall-mounted sensors, coupled with combination of an internal motion sensor, accelerometer, gyroscope, and compass to track the position and orientation of the remote. When you set up the remote for the first time, you’ll place three sensors inside the room you’ll use it. 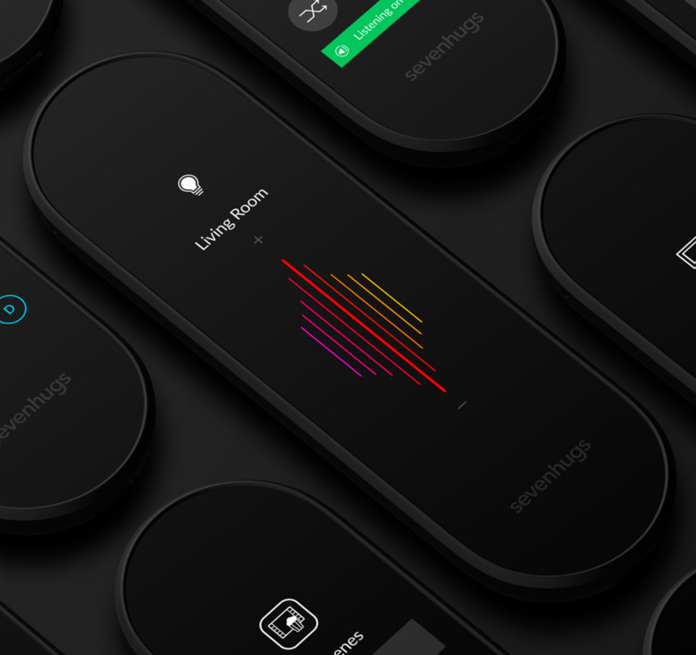 The Smart Remote then determines its location in the room by using the three sensors to triangulate. Once you’ve done that, you teach the remote where the things that you want to control are located by setting the remote next them and pushing the “locate” button. Thereafter, the remote knows what inputs to send out when the remote is pointed towards the device. 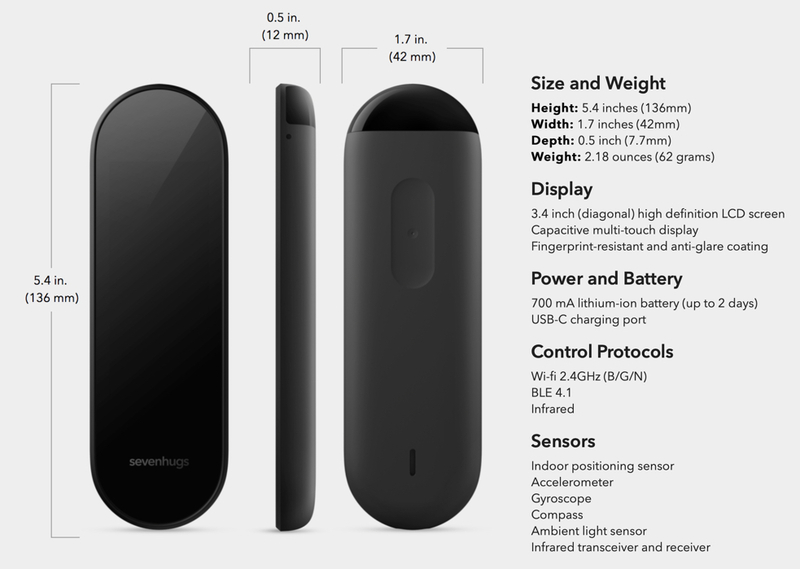 Sevenhugs also claims that the battery life of the remote is one to two days with full charge using the included USB-C dock. The wall sensors last about a year, and use disposable AAA batteries. 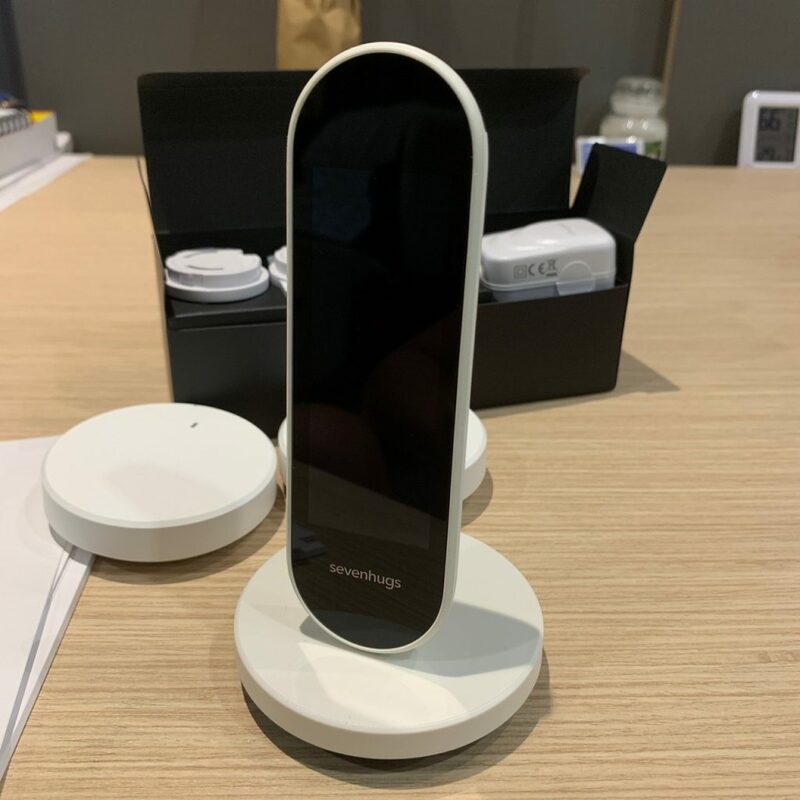 Pre-orders for this device start at $229 USD. Nothing could be easier, and you’ll never spend time hunting for the correct remote ever again.